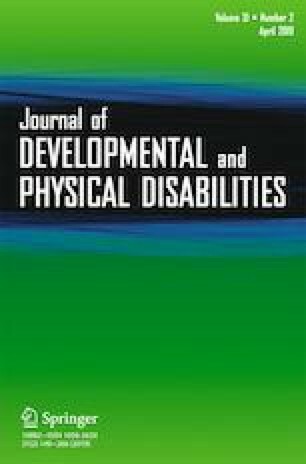 The purpose of this study was to evaluate the utility of auditory feedback to improve dance movements of children with disabilities. The target behaviors were fundamental dance skills, individualized to each student, and scored using a task analysis to calculate the percentage of correct steps. The results showed that auditory feedback increased the specific dance skill for each young dancer. Although the skills decreased during the second baseline, the skills increased again in the second intervention phase. The online version of this article ( https://doi.org/10.1007/s10882-018-9630-0) contains supplementary material, which is available to authorized users. Informed consent was obtained from parents of all individual participants included in the study. Arizona Dance Coalition. (2013). Some things you should know about dance. Retrieved from http://www.azdancecoalition.org/wp-content/uploads/2013/08/some_things_you_should know_about_dance.pdf. TAGteach International. (2012). Retrievedfrom http://www.tagteach.com.